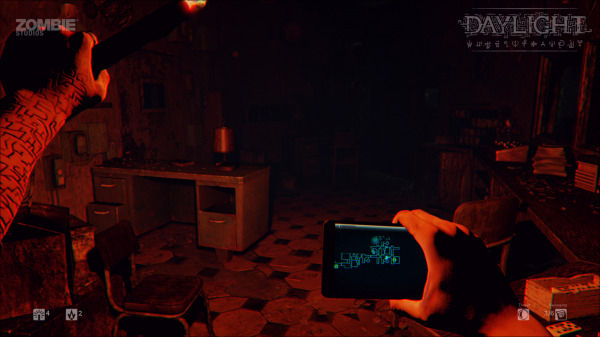 You play as Sarah, a woman waking up in the middle of a dark, abandoned hospital, with no memory of how or why you're there. All you have to guide you is the light from your phone, and a voice at the end of the line. The aim is to escape, while surviving the horrors that plague it's corridors. The plot is fairly bare bones, with back-story relayed through notes that you find hidden around the map. Beyond that there are occasional flashbacks that if anything ask more questions than they answer. All the levels are procedurally generated, meaning each play through is different. While this is always beneficial in a horror game, it means any scripted scares can be a bit overplayed, making them lose impact. To progress through the levels, the aforementioned notes, or "remnants", must be found. Doing so will allow you to find a sigil, which acts as a key to open up the next area of the map. Between each section there is also a small area with a very simple puzzle to complete. Daylight is not a long game, with a play through not lasting much longer than an hour and a half. The randomly generated maps mean that repeat plays will be different, but unless you particularly want to try and collect every scrap of paper, there is little incentive to do so. As you don't have access to weapons, you must make do with what you find around the map. Thankfully, this is all that is needed to easily survive any dangers you encounter. The creatures that chase you are easily deterred by using a flare in their general direction, but you can just as easily run away. A threat meter at the bottom shows how likely enemies are to chase you, so when it's empty, you can be confident that any potential scare isn't likely to harm you. The atmosphere is always important in a game like this, and there is little bad to say about Daylight's. The maps are claustrophobic, and it is very easy to get disorientated, even with the map in front of you the whole time. Sound also plays a very important role, with unsettling noises playing to try to distract and scare you. Graphically however, Daylight could improve. It's hard to put a finger on quite what's wrong with the overall look, but nothing seems quite right. 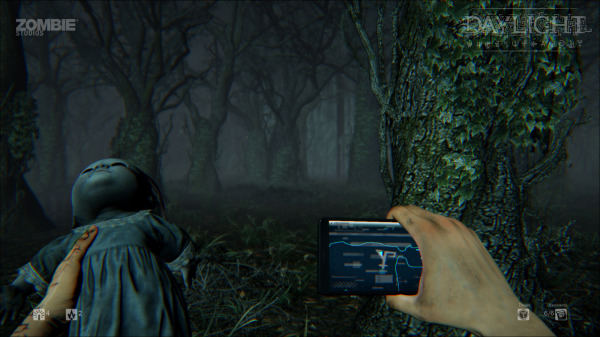 It's hard to get engrossed in a game where everything looks a bit off, which is a big disadvantage for a horror game. On top of that, the movement can feel a little nauseating, especially when running. The controls are simple, but even with so few buttons it's easy to make a mistake. Flares and Glow sticks are both limited, but it's very easy to accidentally throw one away by pressing the wrong key. There are also problems when interacting with some objects in the environment. A simple task such as opening a locker can be frustrating, as you have to be a fairly specific distance away before you can open it. Daylight isn't really a bad game, but it's certainly underwhelming. There are a few moments that can make you jump, but the same thing won't get you every time, and there isn't much variety in the scare tactics. It's also ridiculously short, and making the maps random for further plays is pointless when there's little reason to do so. All in all, Daylight just seems to be another failed attempt by a developer to replicate the success of Amnesia: The Dark Descent.